Summer is coming to an end! 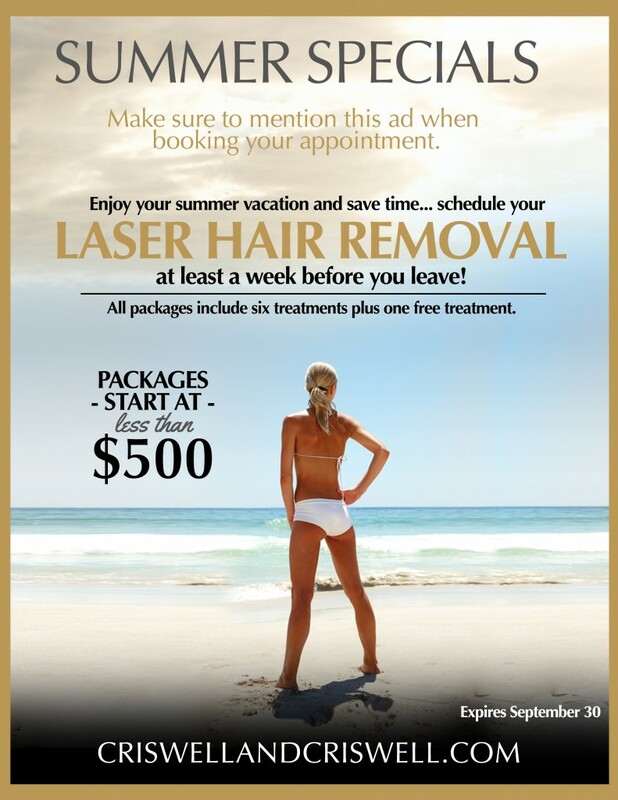 Criswell and Criswell Plastic Surgery is here to help you enjoy the last few weeks at the beach and pool with our Summer Weekly Specials! With these deals, you can have your fun in the sun without dipping into your vacation budget. Summer in the Carolinas means enjoying the beach & pool in August, September & sometimes October, not to mention the winter vacations to the Islands! Criswell and Criswell Plastic Surgery is here to help you get beach and pool ready by extending our Summer Weekly Specials! With these specials, you can continue your fun in the sun without dipping into your vacation budget! Compliment your bikini body and poolside tan with any one of our great offers. You can get a Perfect Peel for $190, a Micropeel for $40, 20% off Obagi skin care products, laser hair removal packages beginning at $500, and Endermologie specials. Call now at 704-424-5050 or stop by our office to take advantage of these deals. All of our Summer Weekly Specials are offered for a limited time only so take advantage while you can, but these deals are too good to wait on. Come visit us at Criswell and Criswell Plastic Surgery and treat your body and your mind to a holiday!